Have you ever been talking on your cell phone and simultaneously wondering where it is? Did your reading glasses walk out of the house for the second time in a week? Have you opened the refrigerator and found your house keys next to the sharp Cheddar? Don't recognize yourself in the mirror anymore? Then Gonepausal will be your kind of read. 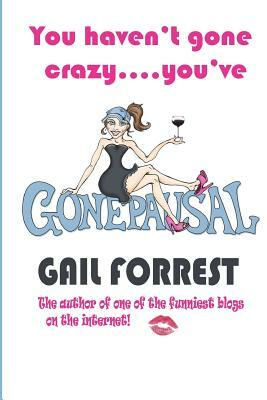 It is a funny and cranky way of looking at life during and after menopause. Ever wonder when the prom girl version of yourself disappeared? Read Gonepausal and find out that and so much more.